I am a huge fan of improvised comedy, so it was a pleasure to see some experts at work in Theatresports, as presented by Impro Melbourne. Theatresports is the longest running improvised show in Australia, having been entertaining audiences for over 30 years. What I particularly like about Theatresports is the transient nature of the humour. The show moves at a quick pace, lines are devised, delivered and forgotten as the show moves on, unlike in a scripted performance. An added benefit of this is that you could go to multiple shows and see something different each time. If you're not familiar with the format of Theatresports, two teams face off against each other. With the toss of a coin, one team gets to choose a subject for the next round, and then each gets a limited amount of time to act out their performance, on the fly. The subjects could be as broad as 'something physical', or 'something musical'. What I became more familiar with during the show is that there are a whole range of improv techniques that can be employed by the teams, such as 'halving time', where the team acts out a sketch, then acts out the same sketch in half the time, then half the time again and so on until the moderator cuts it off. Or there was a performance where there was dialogue between two actors, but they were unable to use particular letters of the alphabet (nominated by the audience) in their words, or else be whacked by the other player. Each round is scored by judges sitting in the front row of the theatre - and their scores do not always meet with the approval of the audience. The cheers, or boos, are all part of the fun, giving the show the feel of an old-fashioned melodrama. A completely improvised (brilliant) song, that had the entire audience joining in, was the only act to score a perfect score from the three judges. Over the two hours of the show, we saw a number of teams perform - singing, dancing and acting - and saw a depth of talent and a wealth of sharp comedic wit. There were many laugh out loud moments during the performance, to the point of tear-inducing hilarity. It really is laugh-a-minute, unpredictable, unexpected entertainment. What adds to the unpredictability is that teams occasionally become 'extras' in the other team's act, as well as stage hands making appearances with various props that may or may not be relevant to a particular act. The teams are currently competing in heats, leading up to the Grand Final, which takes place on Sunday 20th November. Don't miss out on this five star entertainment! Highly recommended, and great value too. I know we'll be making a return visit during this season. 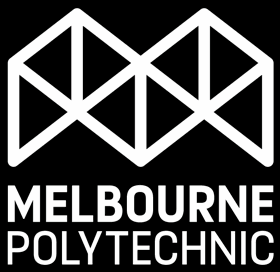 Theatresports is playing at the David Williamson Theatre, 54 St John Street, Prahran (part of Melbourne Polytechnic) at 7.30pm each Sunday night until 20th November 2016. Tickets for the heats and semi-finals are: online - $15, family - $50, at the door: full - $20, concession - $15; tickets for the Grand Final are: online, adult - $25, family - $80, at the door: full - $30, concession - $25, family - $90. To book for the heats and semi-finals, click here. To book for the Grand Final, click here.